Skip Sacks is our new, cost-effective and convenient skip alternative that makes the disposal of rubbish easier than ever before. 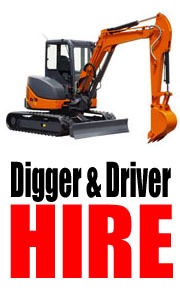 Just one call and we do the rest! 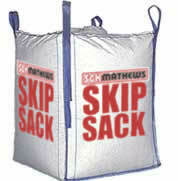 We delivery our bags to you, these do not take up the room skips do and work really well. Fill the bags with your waste and simply call us to collect the bag using our wagon and grab facilities, clean and simple. 150cm x 90cm x 90cm up to 1.5 tons depends on material. This is a standard one-ton bag, which equates to a capacity of one cubic yard. Skip Sacks Price List - VAT Included.